On Jan. 20, some two dozen community members gathered for a #SwipeItForward action at the 149th Street/3rd Ave. subway station in “The Hub” section of South Bronx, New York. 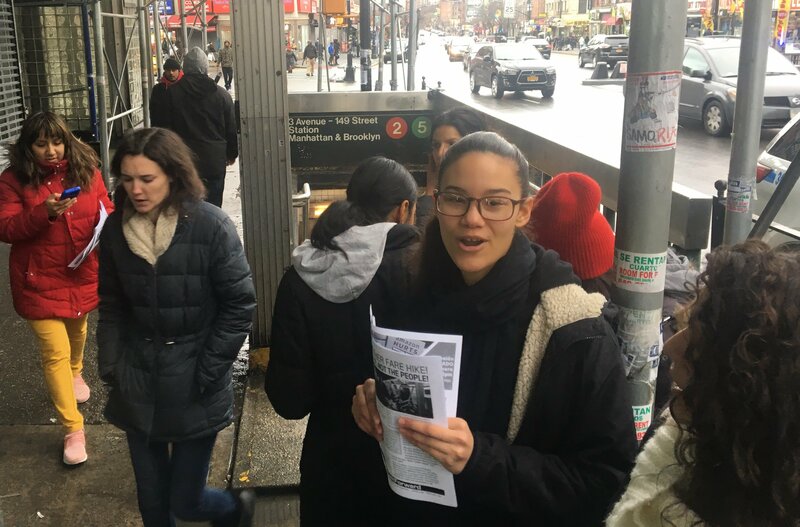 Activists and community members gathered at the train station to encourage fellow New Yorkers to show solidarity with one another by using their unlimited MetroCards to provide free swipes for people who are unable to afford the cost of a subway ride. It is stated in the Metropolitan Transit Authority’s code of conduct that at the completion of a trip you are allowed to offer a swipe to another person. 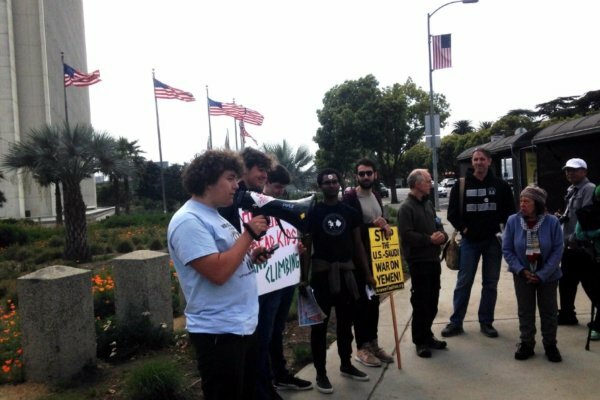 The action was called to protest proposed public transit fare hikes, and the aggressive arrests of people unable to afford train fares. Participants handed out literature, gave speeches, and used their unlimited MetroCards to provide free rides. Speakers at a street meeting at the subway station pointed out the many issues that adversely affect New York City residents and called for much-needed public transit transparency. Although publicly funded, the city’s public MTA is run by an unelected board that keeps the majority of the budget secret. Swiping a commuter forward. Liberation photo: Vincent Tsai. The South Bronx is one the poorest congressional districts in the country. A fare increase would spell disaster for those who live there. City residents are already struggling with skyrocketing rents that are the result of relentless gentrification and city-sponsored rezoning packages that give large swaths of land to luxury housing developers. At the same time, wages for the majority of working-class Bronx residents remain stagnant and below the poverty line. 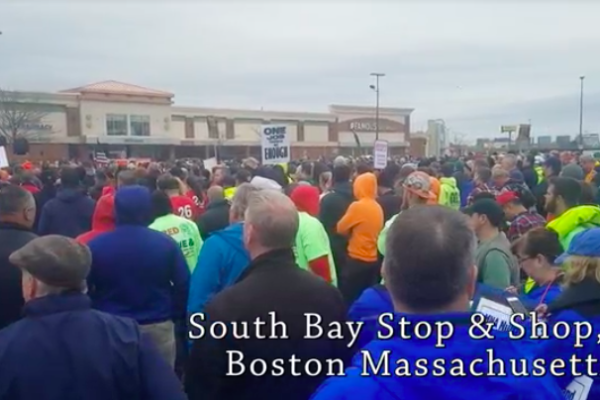 It’s no surprise that many commuters who engaged with the street meeting on their way home or to work offered messages of support. 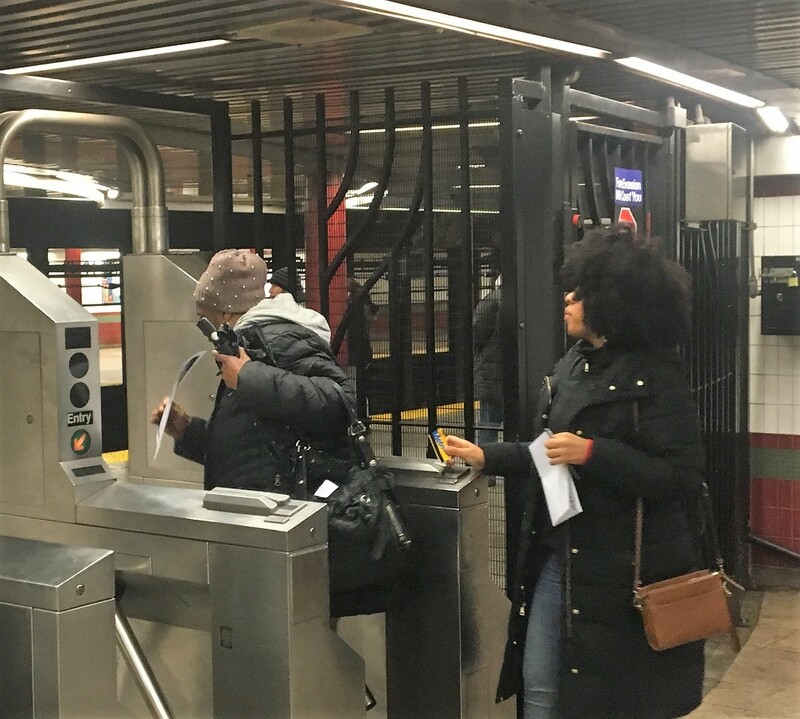 Others were thankful for the relief in the form of free rides that #SwipeItForward activists provided. 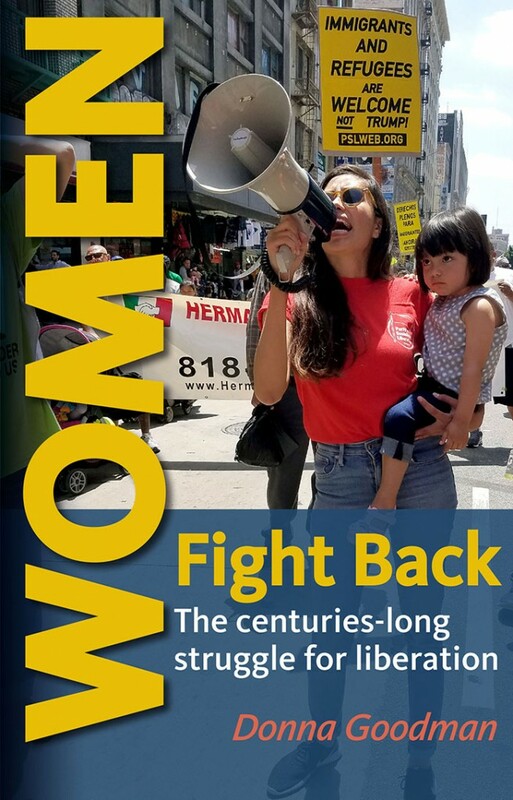 The #SwipeItForward campaign emerged several years ago out of people’s outrage at the tens of thousands of arrests carried out by the NYPD of poor and working-class people of color simply for fare avoidance. Each year the city has poured millions of dollars into unnecessarily incarcerating people for being unable to afford $2.75. Now, to make matters worse, the city is trying to raise the fare to $3 a ride while also substantially raising the cost of monthly unlimited passes by approximately $10 a month. By legally giving someone in need a free swipe from an unlimited MetroCard, many arrests could be stopped. #SwipeItForward actions seek to gather a large group of people to use unlimited MetroCards and give out large amounts of rides all at once at one station while simultaneously calling attention to the city’s problematic policies of mass incarceration and public transit austerity. The MTA let people ride the trains for free in an attempt to stop #SwipeItForward action and it backfired. People rode for free and still signed up to join the SIF community. People power is greater than the power and repression of the police. If they want to make the MTA free every time #SwipeItForward activists show up, that’s a win for the movement. 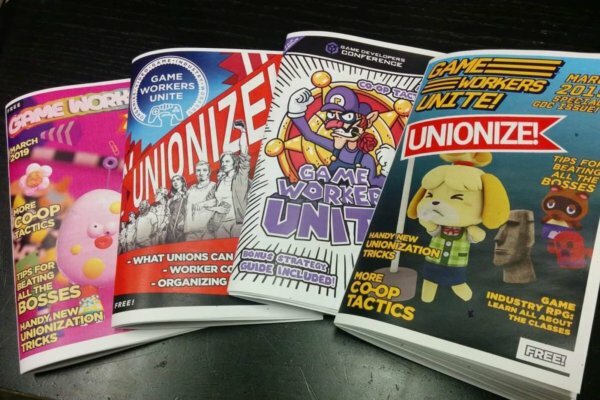 This is the power of organizing. The NYPD falsely told organizers that they could not distribute flyers and had to leave. The organizers held their ground for an additional 45 minutes until every flyer was handed out. New Yorkers for too long have had to put up with police harassment and public transit disinvestment. By standing together and speaking out against the MTA and NYPD’s policies, community members sent a strong message that we will no longer accept mass incarceration and austerity and that the struggle has just begun!